ZIMBABWE – Zimbabwe has signed a major trade pact with the World Bank-rated Golden City for Investment Environment in China which seeks to promote investment inflows, trade exchanges and develop economic co-operation. The Memorandum of Understanding signed yesterday at the Zimbabwe-Qingdao Investment Conference will provide a platform for the business circles of the two sides, the Bureau of Commerce of Qingdao Municipal Government and Zimbabwe, as represented by the Ministry of Macro-Economic Planning and Investment Promotion. The Deputy Minister of Macro-Economic Planning and Investment Promotion Monica Mutsvangwa signed the MoU on behalf of Government while the deputy director general of Qingdao Bureau of Commerce Mr Chunyu Xianli signed on behalf of the Chinese city. The conference and the signing of the MoU was part of a four-day itinerary for the visiting 12-member delegation from China’s Qingdoa City. Located in eastern China, Qingdao was named the Golden City for Investment Environment in China by the World Bank following its tremendous economic growth over the years. The city has also been named the Best Emerging Business City in China by Fortune magazine. The partnership with Qingdao through the MoU links Zimbabwean companies to a network of international businesses such as Haier, Hisense, Tsingtao Beer and Kingking which are based in the Chinese city. Qingdao is home to 25 444 foreign companies with a total paid-up capital of $60,4 billion. By September last year 242 projects had been set up by 124 overseas Fortune 500 companies in Qingdao. The city enjoys 12 000km of sea area and 863km of coastal line and is home to 30 percent of all the marine science research institutes in China with 40 percent of top scientists taking 50 percent of the key national marine scientific research projects. In 2014, Qingdao received 66 million visitors from home and abroad. The strategic geographic and economic muscle of Qingdao provides a platform for Zimbabwe, the Acting Minister of Macro-Economic Planning and Investment Promotion, Dr Lazarus Dokora told the Qingdao-Zimbabwe Investment Conference. “I am aware that Qingdao City boasts one of the fastest GDP growth areas and that Qingdao’s economic success has been sustained by flourishing local business and large foreign direct investment with major pillar industries consisting of electronics, petrochemicals, automobiles, machinery, metallurgy, building materials, biopharmaceuticals, textiles and garments and various beverages and processed foods,” said Minister Dokora. “All these products fall under important sub-sectors which I am sure can facilitate a turnaround of the Zimbabwean economy and, to that effect, investors from Qingdao province are invited to venture in any of the noted sectors,” he said. The 12-member delegation comprises of officials from the Qingdao Overseas Investment Service Centre, the Qingdao Branch of the People’s Bank of China, the Qingdao Bureau of Commerce, and the Qingdao Communist Party of China (CPC) Committee. Government expects that concrete deals will be cemented while the delegation is in the country. “Zimbabwe is endowed with diversified economic offerings spread across the major provinces and cities of the country. 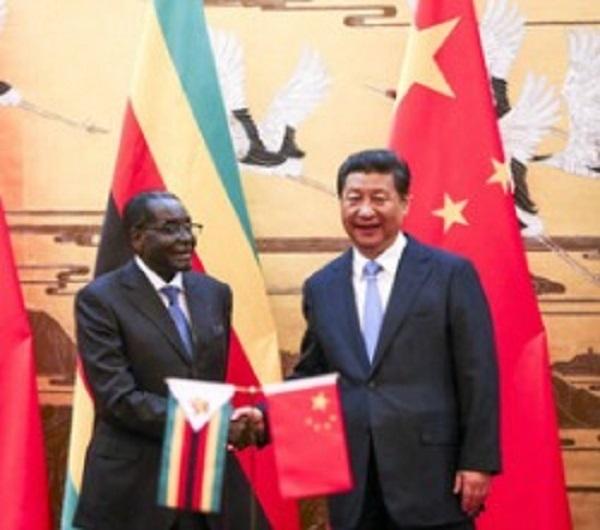 This dovetails will with the intended collaboration between Qingdao and Zimbabwe as it ensures that in any city that our Chinese investors may consider there is viable economic activity to engage in,” said Minister Dokora. Qingdao has the longest sea bridge in the world — the Jiaozhou Bay Bridge and the longest undersea tunnel in China — the Jiaozhou Bay Tunnel, with Qingdao Port connecting to over 700 ports all over the world. The city’s deputy mayor Mr Wang Wei said trade volumes between Zimbabwe and Qingdao reached $19,43 million in 2014. “In 2015, the two parties have seen further co-operation in various areas,” said Mr Wang. Qingdao Hengshun Zhongsheng Group invested in two gold mines in Zimbabwe last year while in 2014, Qingdao Ruichang Cotton established China-Africa Zimbabwe Company and invested in two factories. The Chinese official said Qingdao Beverage Group Company Limited, Shangdong Electric Power Construction Corporation III and Qingjian Construction Group are making thorough investigations of the Zimbabwean market.